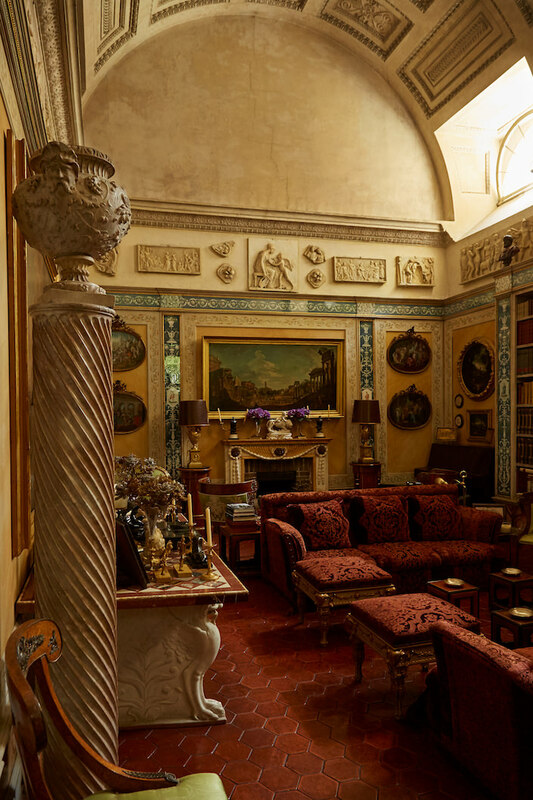 The current return to maximalism can, in all likelihood, be traced to a single source – Renzo Mongiardino. 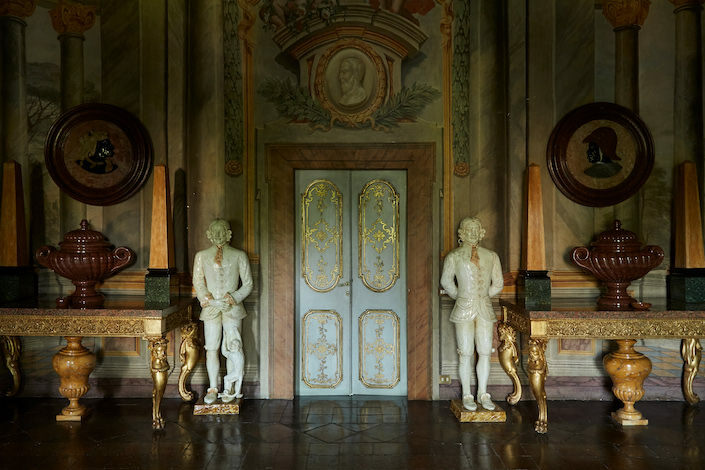 Even those who didn’t know or couldn’t pronounce his name, have been unwittingly influenced by his lush and layered interiors. Redolent of eras long gone and faraway places, Mongiardino magically melded his many influences into elegant, moody and timeless spaces. 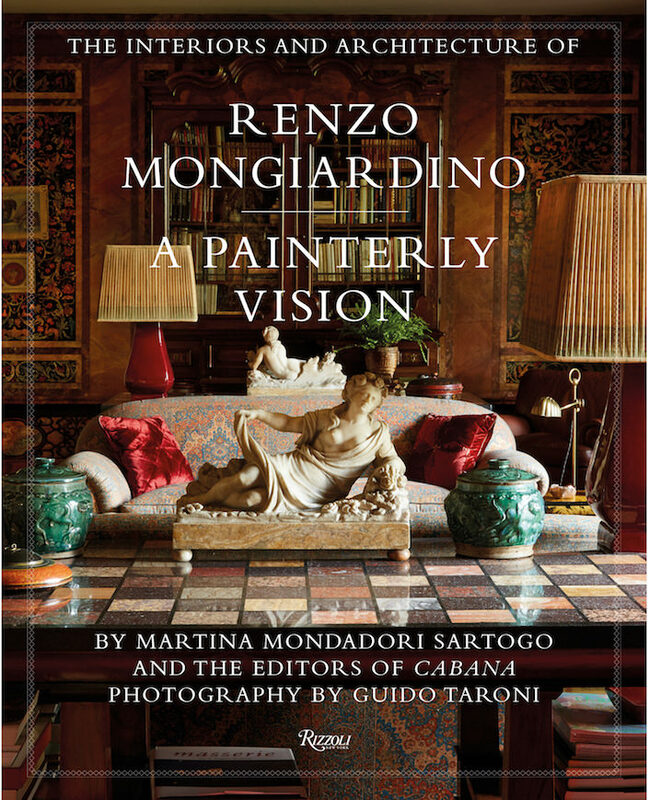 And who better to present a new book on the master architect and interior designer than Martina Mondadori Sartogo and her compatriots at Cabana, a magazine so clearly influenced by his vision. Having grown up in a Mongiardino designed home, below, Martina is intimately familiar with the man and his work. This is not, however, as she explains in her introduction, the ultimate anthology of Mongiardino’s work, but rather a specific point of view. Like Cabana, which often focuses on details and ambiance, this volume is a personal tribute to his style. A master of illusion who employed the best of artisans, Mongiardino made it hard to discern what was “real” and what was created for the desired effect. It is this ineffable ambiance that made Mongiardino so appealing to a sophisticated group who understood the depth of his talent. From Marella Agnelli and Franco Zeffirelli to Aristotle Onassis and Guy de Rothschild, his clients represented the creme de la creme of design cognoscenti. And sprinkled throughout the book are conversations with several clients and friends who also knew him well such as Lee Radziwill, Umberto Pasti, Elsa Peretti, Francesca Simone as well as a letter to him from Jackie Kennedy Onassis (written on the mega yacht Christina stationery) detailing design ideas and questions for a project on the Greek island of Skorpios. 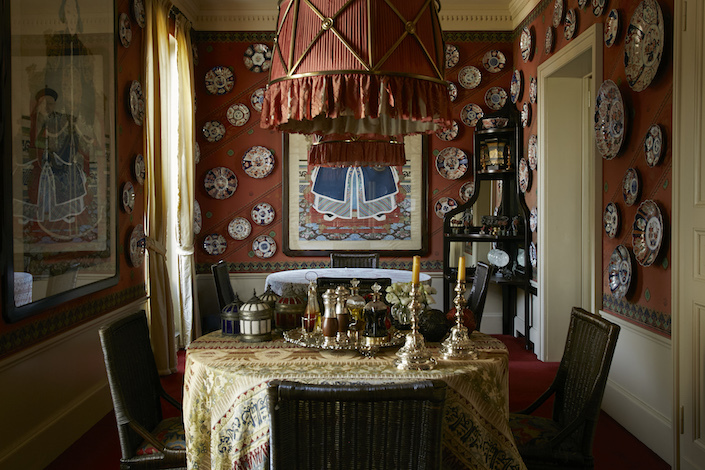 Whether a grand residence or a cozy room, his artistic legacy lives on in these homes, newly photographed by Guido Taroni for the book and beautifully printed in Italy. 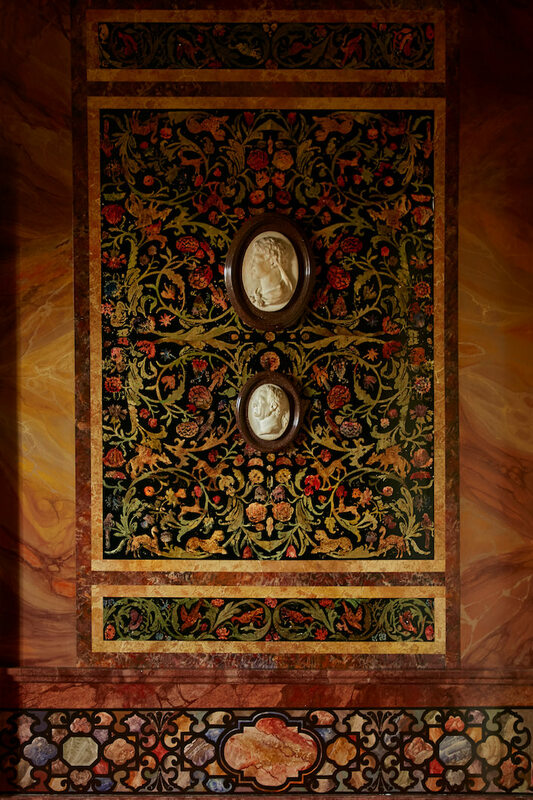 It is a testament to Mongiardino’s great talent that they still exist, showing how his theatrical penchant for trompe l’oeil, exquisite craftsmanship and a high low mix of textures and patterns endures and set the stage for so much of what was to come. This entry posted in architecture, art, books, design, interior design. Entry Tags: Books, Cabana Magazine, Design Books, interior design, Interior Design Books, Martina Mondadori, Renzo Mongiardino Bookmark the permalink. Your opening phrase, “The current return to maximalism,” made my heart sing. My fervent prayer is that all the characterless, blancmange interiors which have populated the shelter mags for what seems like centuries will vanish; never to return. 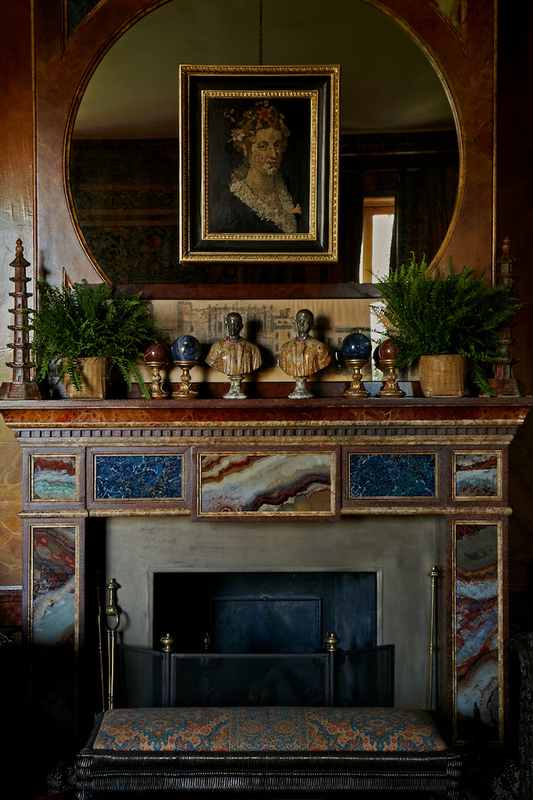 Having been a docent at a house tour this weekend in upstate New York, I can tell you that people lingered and oohed and aahed over the maximalist, traditional interiors, and swiftly moved on, barely giving it a glance, in the minimalist, modern interiors. Modern just doesn’t say “home” like traditional. It’s not warm and welcoming. This looks like a wonderful book. Mongiardino had a deft hand, and knew what informed and discriminating clients wanted. What a talent. Marvelous! The abundance of rich textures, colors and forms creates an atmosphere at once unattainable yet intimately welcoming. 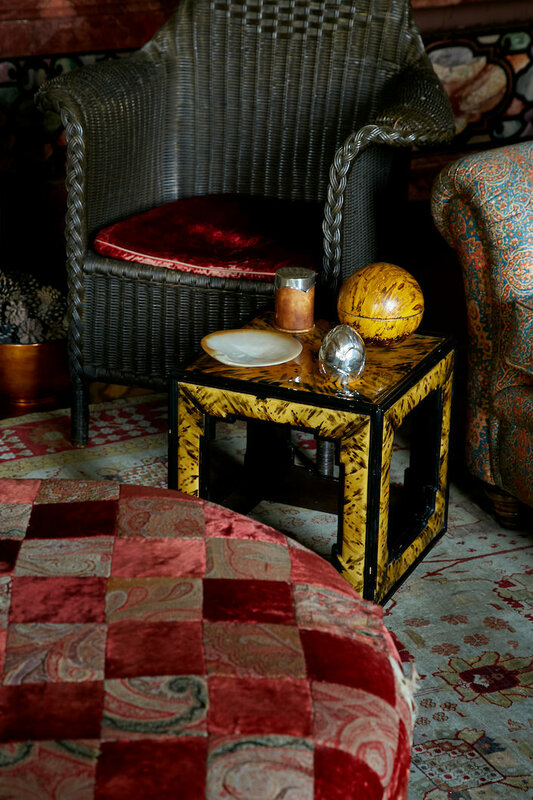 Gorgeous design and juxtaposition of materials, such as wicker and velvet. Just grand! I very much agree with Cynthia Lambert. Thank heavens for this! I am a big Mongiardino fan, but completely content if there is no mass-market trend to duplicate his style. Do-it-yourselfers and limited professionals need to stick to a safer formula. But I am always glad to see a good presentation of the genius’ work. 80 queries in 0.615 seconds.